These may look like your average studs in sporting threads, but don’t let their good looks detract your attention from the real stars of the basketball court: the clothes they’re wearing. Adidas has just unveiled the NBA Revolution 30, which the sports-apparel manufacturer claims to be the lightest and most technologically advanced NBA uniform to date. Besides keeping athletes drier, cooler, and more comfy than current fabrics on the market, the leaner, greener uniforms also comprise a whopping 60 percent recycled materials. Plus, they’re designed to optimize a player’s natural movements and performance. The NBA Revolution 30 dries twice as fast as previous NBA uniforms, thanks to Adidas’ patented ClimaCool fabric, which wicks moisture in under three seconds and drives heat and sweat away from the body through ventilation channels. By switching front and back numbers from the traditional heavier material to lighter, breathable mesh, Adidas also reduced the uniform’s weight by 30 percent. 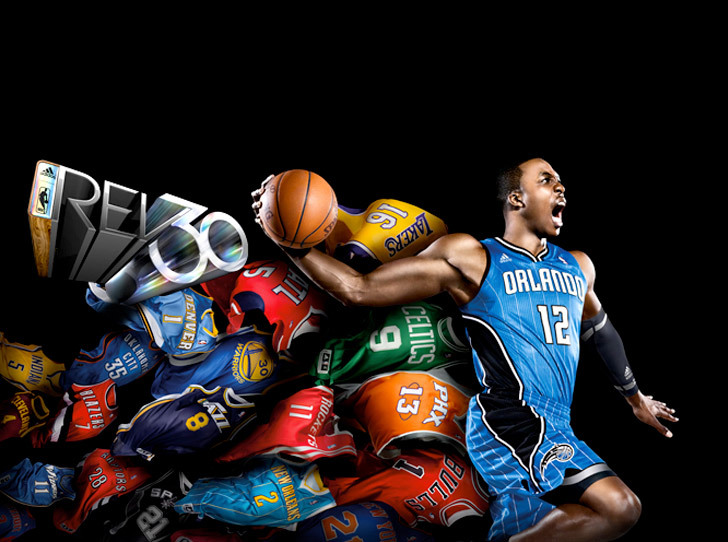 The NBA Revolution 30 is 30 percent lighter and dries twice as fast as previous NBA uniforms. The new uniforms are the result of a four-year study, led by Adidas and the NBA, involving 200 NBA and NBA D-League players. 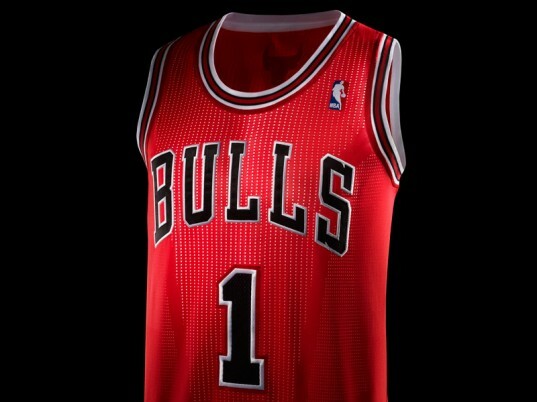 Beginning this season, all 30 NBA teams will be outfitted with the new look. The recycled jerseys will also be available to fans for purchase, starting with a limited-edition line featuring 33 different players. We’ll be watching this season to see if the new line of uniforms helps make the NBA better, faster, and stronger, but for now, we know that this new move has Adidas and the NBA helping with the full-court press on climate change. These may look like your average studs in sporting threads, but don't let their good looks detract your attention from the real stars of the basketball court: the clothes they're wearing. Adidas has just unveiled the NBA Revolution 30, which the sports-apparel manufacturer claims to be the lightest and most technologically advanced NBA uniform to date. Besides keeping athletes drier, cooler, and more comfy than current fabrics on the market, the leaner, greener uniforms also comprise a whopping 60 percent recycled materials. Plus, they're designed to optimize a player's natural movements and performance.